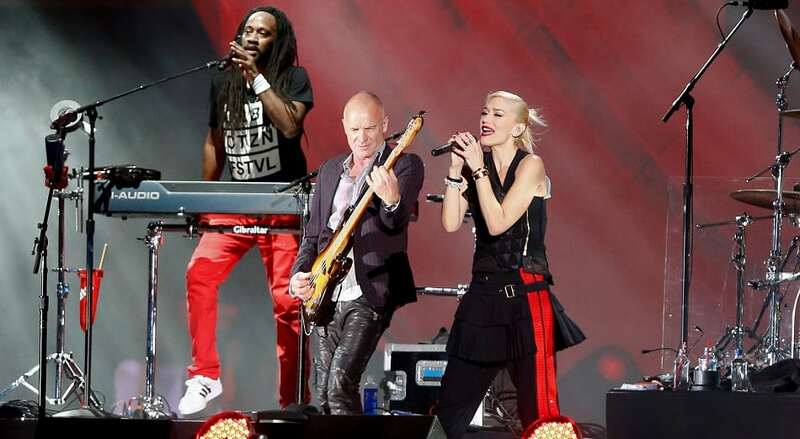 Sting is shown here singing with Gwen Stefani in New York City. Gordon Matthew Thomas Sumner, popularly known as Sting, was the frontman for the new wave rock band the Police from 1977 to 1986 and has enjoyed a successful solo career as well since the mid-80s. He has received 16 Grammy Awards, three Brit Awards, a Golden Globe, an Emmy and four nominations for the Academy Award for Best Original Song. In 2002 he was inducted into the Songwriters Hall of Fame. In 2003, as a member of the Police, he was inducted into the Rock and Roll Hall of Fame. Born in 1962, Jon Bon Jovi (John Bongiovi Jr.) is best known as the founder and frontman of the rock band Bon Jovi, formed in 1983. Bon Jovi has released 2 solo albums and 12 studio albums with his band, which to date have sold over 130 million albums worldwide, thus making them one of the World’s Best-Selling Music Artists. As a songwriter, Bon Jovi was inducted into Songwriters Hall of Fame in 2009. 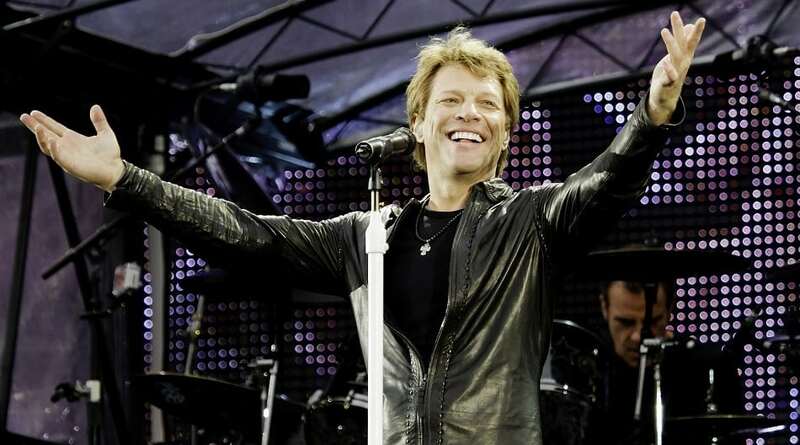 In 2012, Bon Jovi ranked #50 on the list of Billboard Magazine’s “Power 100”, a ranking of “The Most Powerful and Influential People In The Music Business”. He has an estimated net worth of $310 million.